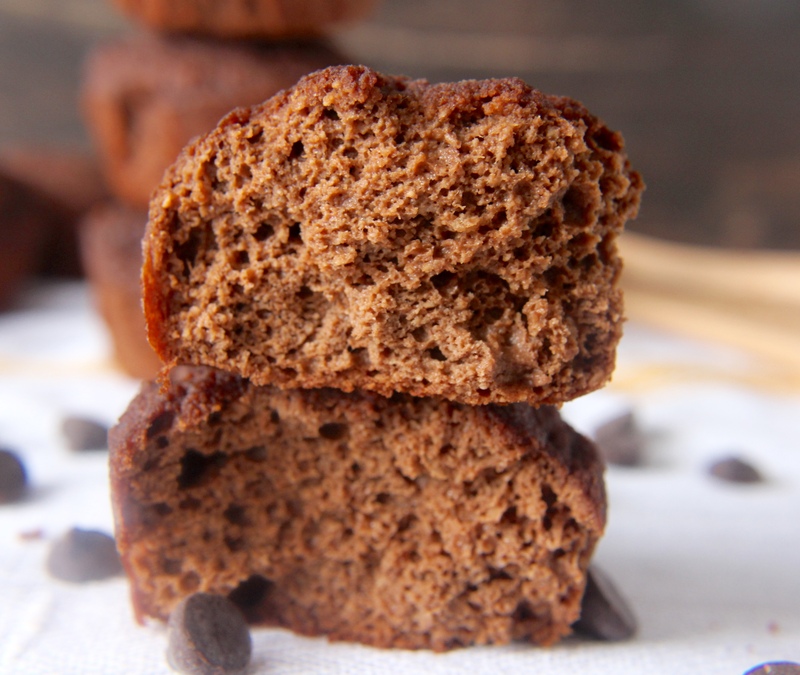 These Paleo Chocolate Banana Muffins are easy to make, naturally sweetened, and so delicious! Perfect for breakfast, a snack, or dessert. I had some bananas that were super brown and I knew I better make something quick. 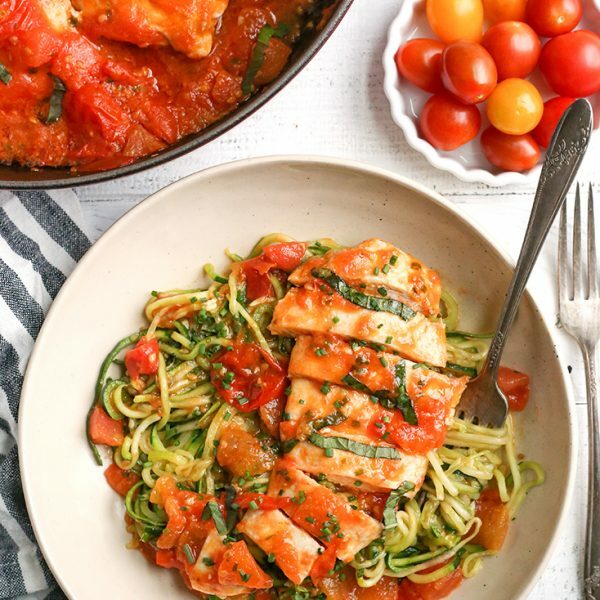 I threw some ingredients in a bowl and hoped they would turn out- they totally did!! These muffins were born and they are super moist, dense, chocolatey, and just the right sweetness. The hubs had one straight from the oven and loved it. He asked for more, but I put them aside so I could take pictures and share them. They are so moist that he actually thought I filled them with chocolate! I love using bananas as a sweetener and nothing else, but if you want to add some chocolate chips that would be super delicious! They are already full of chocolatey goodness, but more can’t hurt. 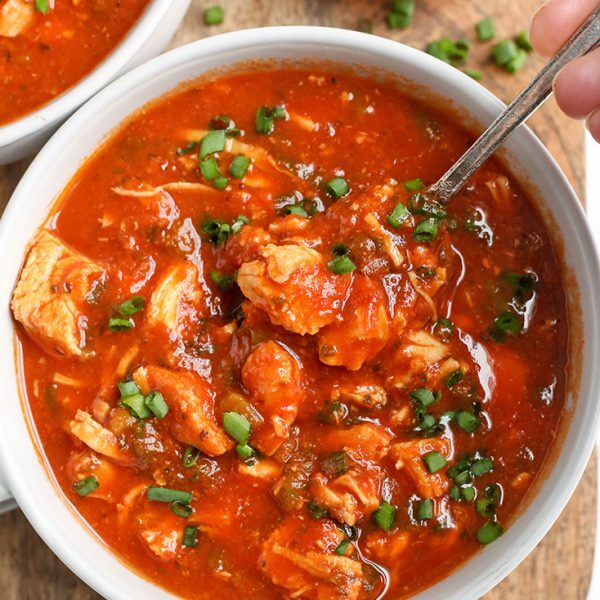 Another thing I love: one bowl recipes! Everything is mixed in one big bowl, no measuring the dry separately or anything. It’s mixed completely by hand so no dirtying the mixer. It’s a pretty awesome recipe! This makes 12 muffins, but some are kind of small. You can make 10 or 11 bigger ones if you want. You will love how simple these muffins are! 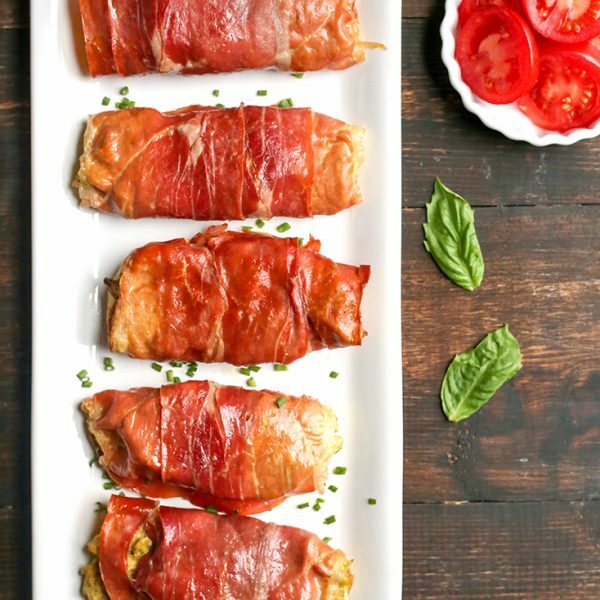 Make a batch to enjoy for breakfast all week- if they last that long! 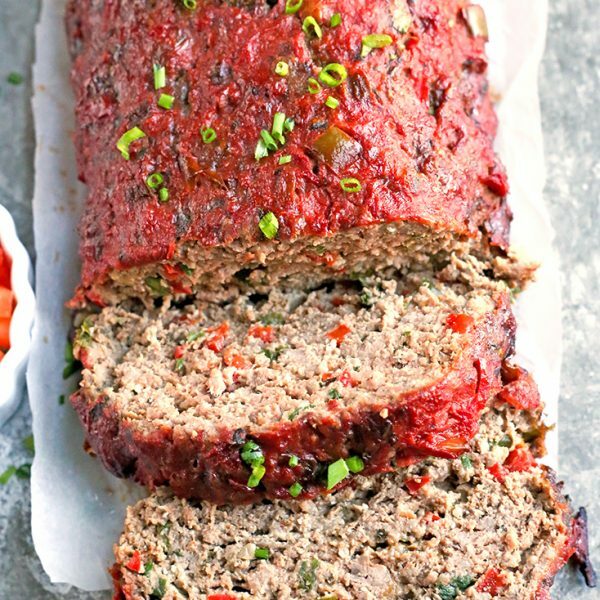 Looking for more Paleo baked goods? 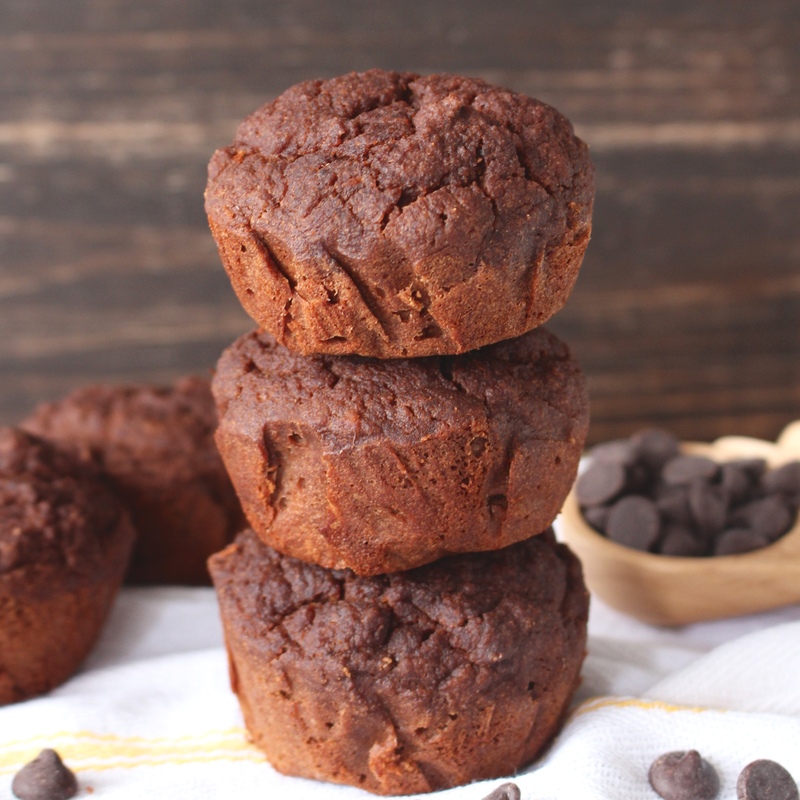 Check out my Banana Bread or Paleo Breakfast Muffins. Both are so good!! In a large bowl, mash bananas and add coconut oil, milk, eggs, and vanilla. Stir to combine. Add almond flour, coconut flour, cacao powder, salt, cinnamon, and baking powder. Mix until fully incorporated and no dry pockets remain. Pour into liners and bake 20-25 minutes or until toothpick comes out clean. I just made these muffins and they are absolutely delicious. 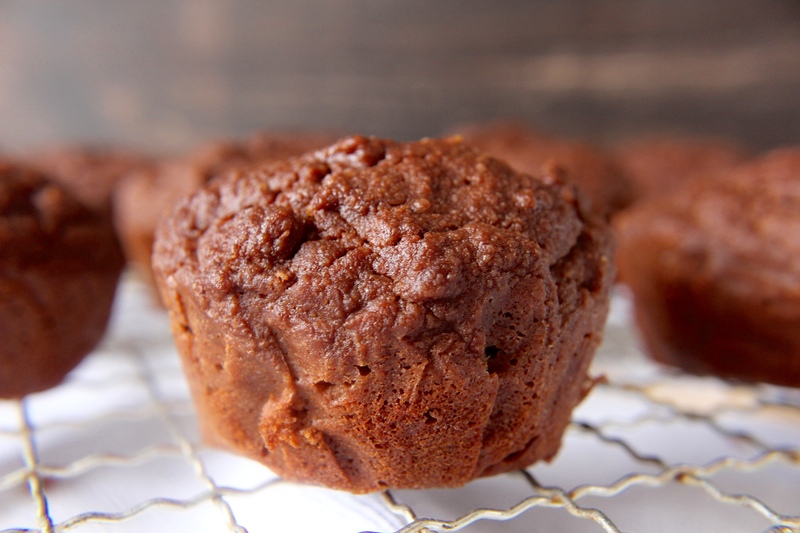 The best paleo muffin recipe I have found. So hard not to eat more than one!Thank-you! Is the recipe supposed to have baking powder or baking soda. I haven’t seen a paleo recipe with baking powder before. Thanks. Hi Laura- I use baking powder. I use Trader Joes brand that does have a little cornstarch in it. I know it’s non GMO and just a small amount so I’m ok with it. If you have a sensitivity you can google how to make your own paleo version. Really moist and tasty! I usually try to modify recipes to add my own touch (chocolate chips, fruit, etc. ), but these really don’t need anything.